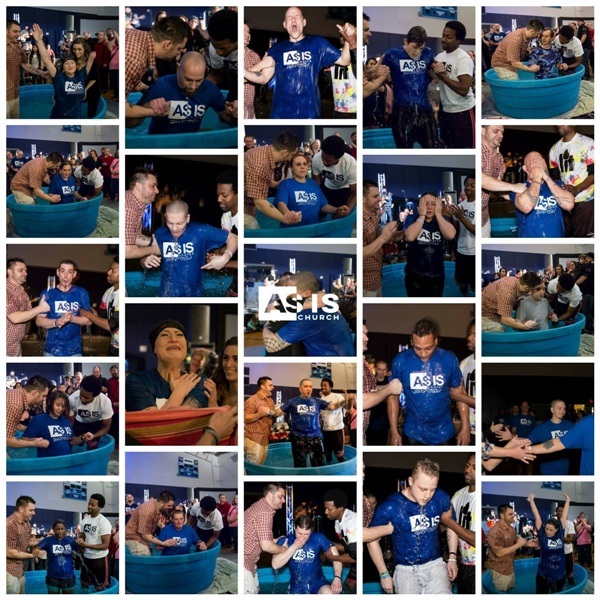 Baptism demonstrates and celebrates an individual’s decision to follow Jesus Christ. There is no more meaningful ceremony than baptism that pictures the death, burial and resurrection of Jesus. Biblical baptisms were by immersion. The Greek word, “baptizo” means to immerse, dip, or plunge under water. WHEN SHOULD THEY BE BAPTIZED? After I have believed in Christ and received Him into my life. HOW DO WE RECEIVE AND BELIEVE? Agree that Jesus Christ is Lord, that He died to pay for my sins, that he rose from the dead, and that he is alive today. Admit that God has not been first place in my life and ask Him to forgive my sins. Another word for “admit” is confess. In the New Testament there was an immediacy for people to be baptized. If you’ve put your faith in Him the next step is baptism and we’d love to celebrate with you! Email me at scott@asischurch.com and I’ll sign you up to baptized during our next baptism service.